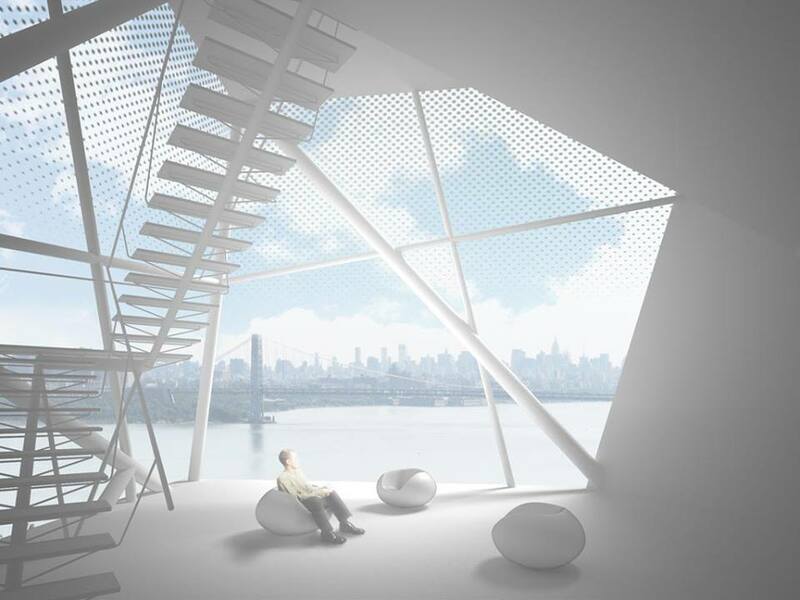 Axis Mundi architecture office proposed interesting concept for the future homes. 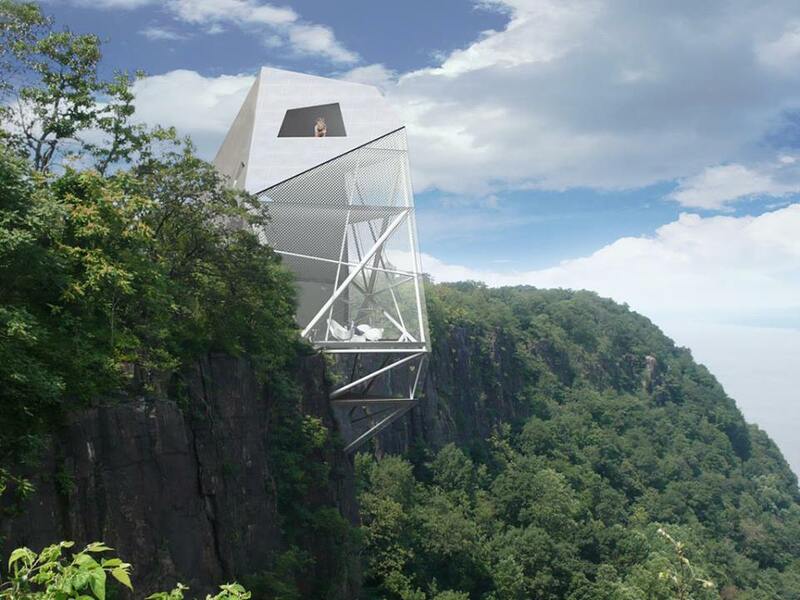 House of the future, called Polyhedra House is placed on the cliffs of Palisades Park in New Jersey. 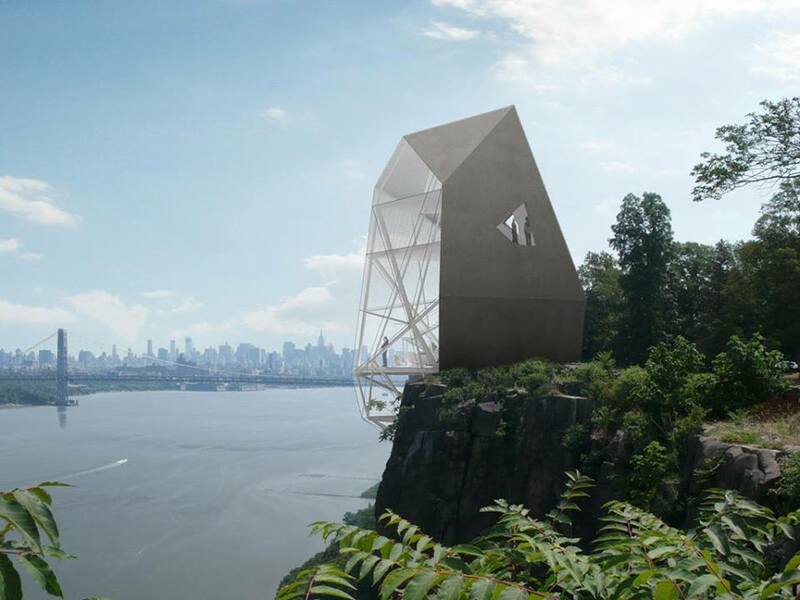 The house would offer an incredible views across the Hudson River and challenge gravity laws.The final design is revealed as a crystalline asymmetrical polyhedron. 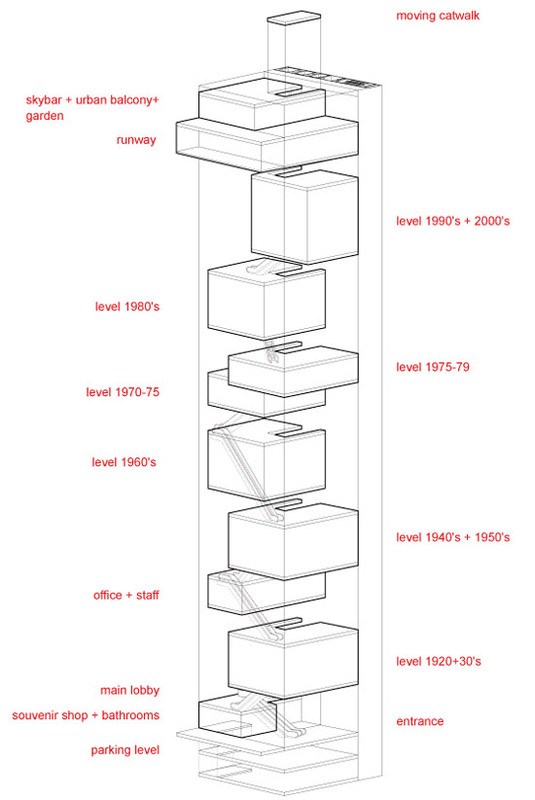 The ground floor level contains the main living space which includes kitchen, dining and living areas. 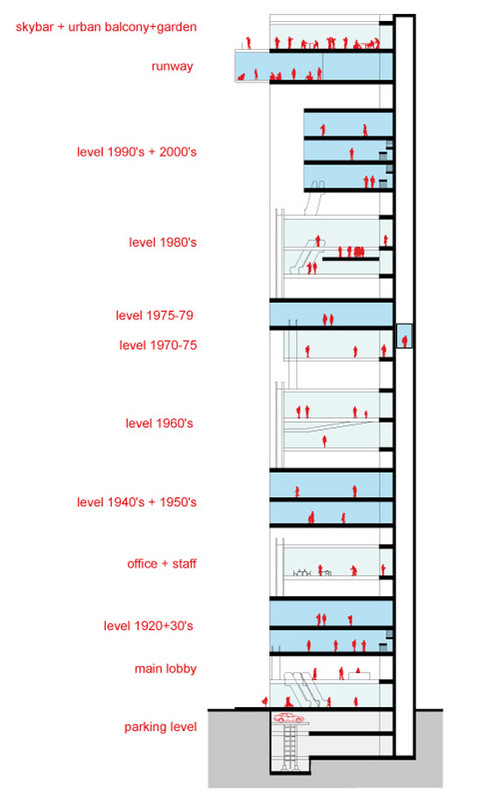 A staircase leads to bedrooms above and a small terrace. The interior is white. 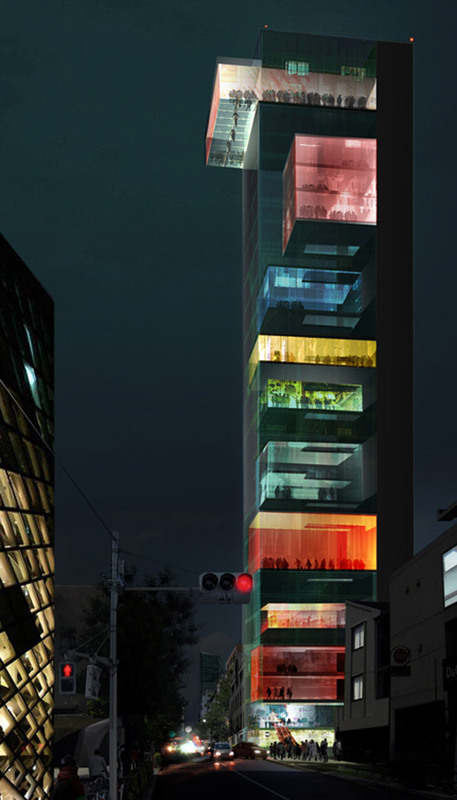 ‘vertical omotesando’ is a architectural proposal by international firm WAI architecture for the international architecture competition, organized by arquitectum. The structure is a fashion museum which reflects the culture of the omotesando fashion world in tokyo. 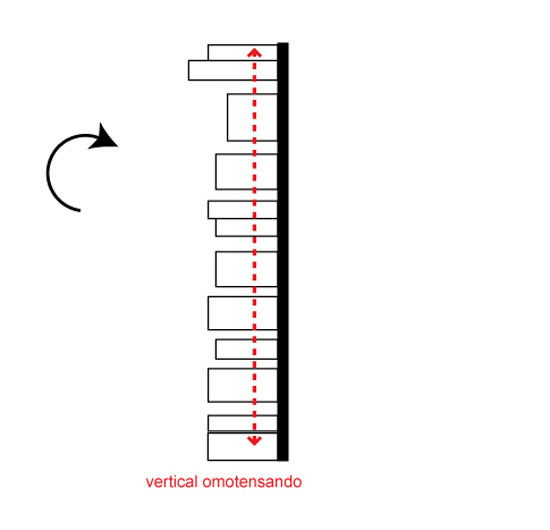 The design is envisioned to be a verticial version of the omotesando street in which it is based.